Live Creating Yourself. 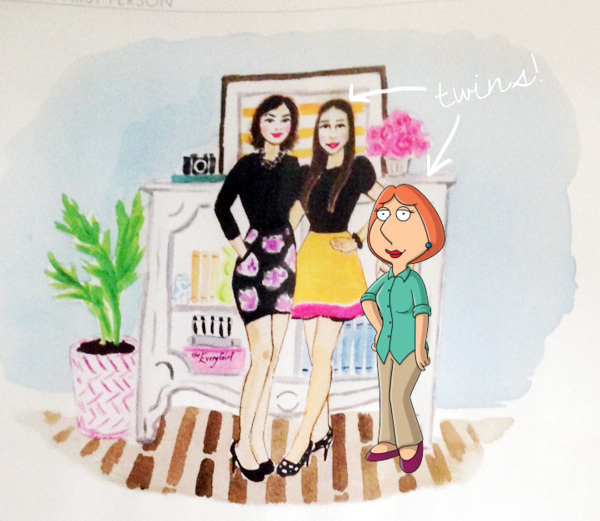 : my home tour is coming... and me as lois griffin. 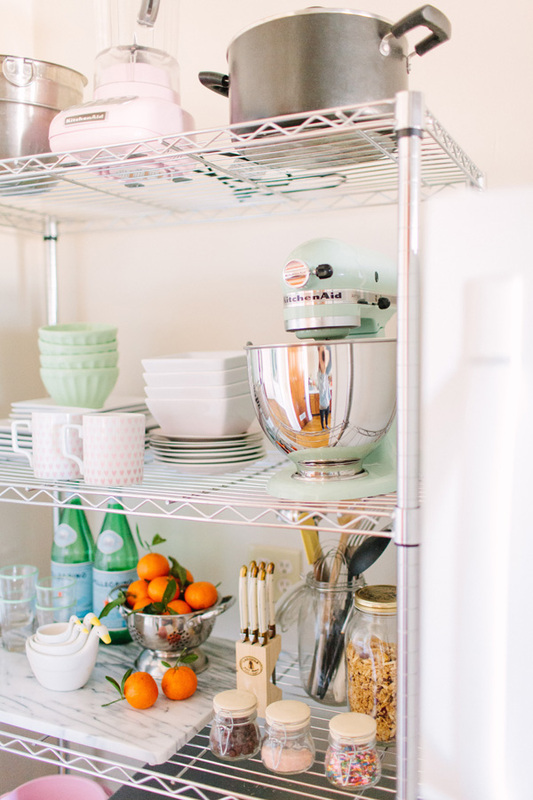 After months of teasing, my home tour is finally on The Everygirl tomorrow! 7am - set your alarms! The one cute corner of my desperate but homey(?) kitchen. I spy the talented photographer Maura Stoffer in the reflection of my beauteous mint-colored Kitchenaid mixer, the newest and final addition to my home! Her and her husband John did such an amazing job w/ these photos. Cannot wait to share! Plus I'm excited to reveal which art, bedroom lamps, and dining chairs I chose! Thanks so much for all who participated in the voting. I'll explain my choices in the upcoming weeks following the big reveal. 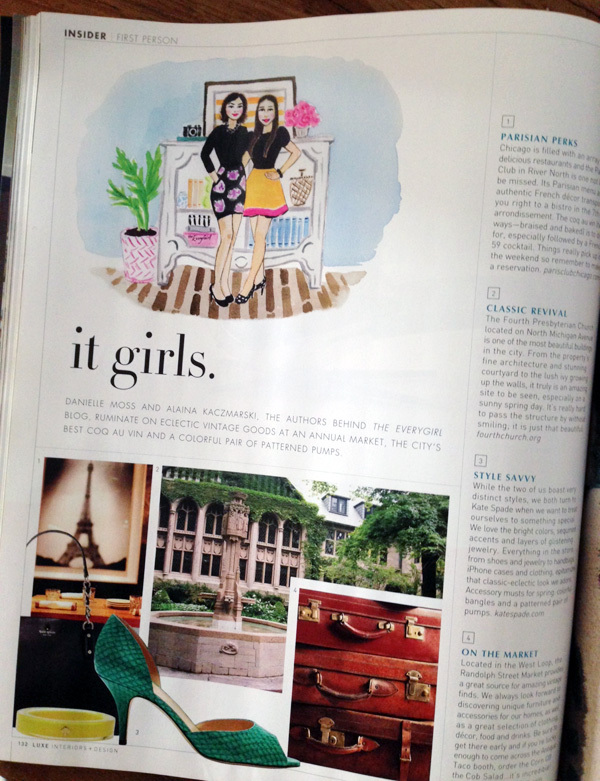 In other news... an illustrated version of Danielle and me made it into a short article in this month's Luxe Magazine. Headline reads It Girls??? Silly Rabbit... we're Everygirls. Makes me chuckle. While it's surreal seeing a drawing of myself, I can't help but think I resemble... who is it... ah yes. Lois Griffin. Yes? At least the artist was generous on my waistline! I'll take it! I know your home reveal will inspire me to clean and rearrange everything in my home and that is the main reason that I have been looking forward to it! 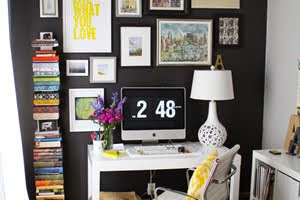 Loving all the tid bits on your blog today! 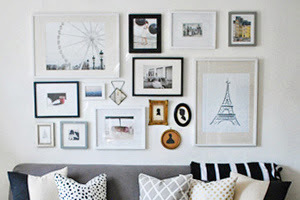 I did a home post most recently in my blog that you might enjoy! Check it out if you have a moment, again, cannot wait for your tour! Wanted to follow you on Pinterest but your button isn´t working - so that you know! Can't wait to see the home tour! ahhhh soooo excited!!!!!! i have been waiting for your home tour forever and can't wait to finally see it! i'm doing a happy dance right now i'm so excited- coworkers think i'm nuts. eeek!! can't wait to finally see it!!!! Cute, but why do bloggers insist on using poor language skills? I know you are more educated than "Her and her husband..."
Congratulations! Can't wait to check out The Everygirl tomorrow! Your place looks beautiful. Love the pop of mint! This is so cute!! Also, been eyeing the mint standmixer myself. Love it! "Her and her husband John did such an amazing job w/ these photos. Cannot wait to share!" Should be "She and her husband..."
I'm an English Professor and just wanted to point out the pronoun misuse. Keep up the good work!